Mr. Robert T. Collins, age 72, of 1220 Cullen Drive, Fayetteville, NC departed this life on Tuesday, October 30, 2018. Funeral service will be held on Thursday, November 8th at 11:00 AM in the Love Center Church, Dunn, NC. Burial: Sandhills State Veterans Cemetery. 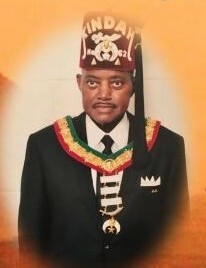 He leaves to cherish his loving memories:wife, Deloris Collins; son, Bernard McKoy; daughters, Catrina Holman (Malcolm), Keisha M. Collins and Jacqueline Kenney (John); brother, Ester L. Collins, Jr.; sisters, Mary Archer (Benjamin) and Deborah Jones (Calvin); four grandchildren; one great grandchild and a host of other relatives and friends. There will be a viewing Wednesday, November 7th from 5:00 PM to 7:00 PM at Wiseman Mortuary.